Residents at Elmwood Hills Healthcare Center know that good diabetes management requires staying on top of symptoms and developments without delay. But did you know that your insurance package may play a role in holding you back from doing just that? In an Annals of Internal Medicine article from November 20, 2018, researchers set out to test if there was a connection between the amount of your insurance deductible and delaying diabetes care. The intervention group with 33,957 diabetics received low-deductible insurance plans ($500 or less) for a year. Their employers then mandated them to switch to a high-deductible plan ($1,000 or more) for up to four years. The control group with 294,942 diabetics also received the low-deductible plan but remained with it throughout the entire time. During the initial baseline period, there were no significant differences between the groups regarding delaying diabetes care. The high-deductible group waited 1.5 months longer than the low-deductible group, when seeking care for their first major macrovascular symptom. The high-deductible group also waited 1.9 months longer than the low-deductible group when it came to getting their first diagnostic test. And for their first procedure-based treatment, the high-deductible group waited 3.1 months longer than the low-deductible group. Since the study didn’t test causality, we can’t know if paying higher deductibles causes you to delay seeking help. 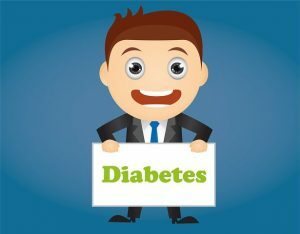 But with the strong link between paying a high price and delaying seeking care, getting a diagnostic test, and receiving procedure-based treatment after the first major symptoms of macrovascular disease show up, seems to suggest that having a low-deductible insurance plan will get you to the doctor faster when it comes to diabetes. What are your thoughts on insurance and delaying diabetes care?